It’s a brand new year. You’ve rested, reflected, and refocused, determined to take your art business to new heights in the year to come! 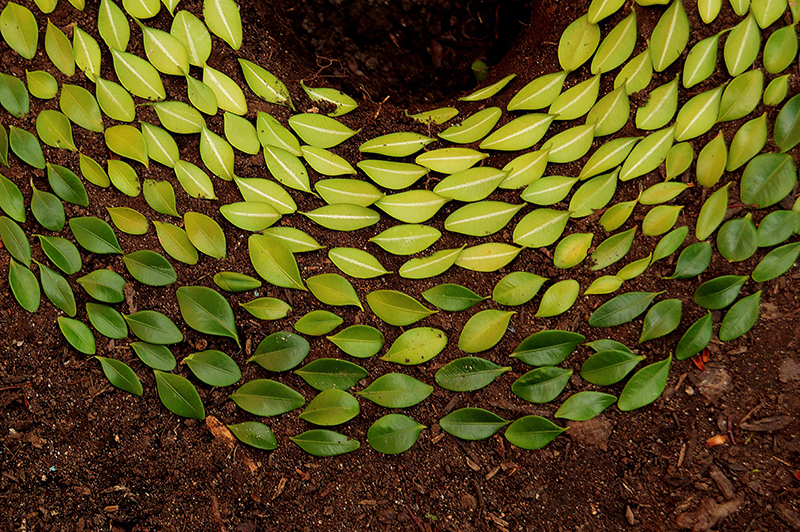 So, what’s one major part of your new business plan you should be considering? Making art can be an expensive and, at times, unpredictable living. 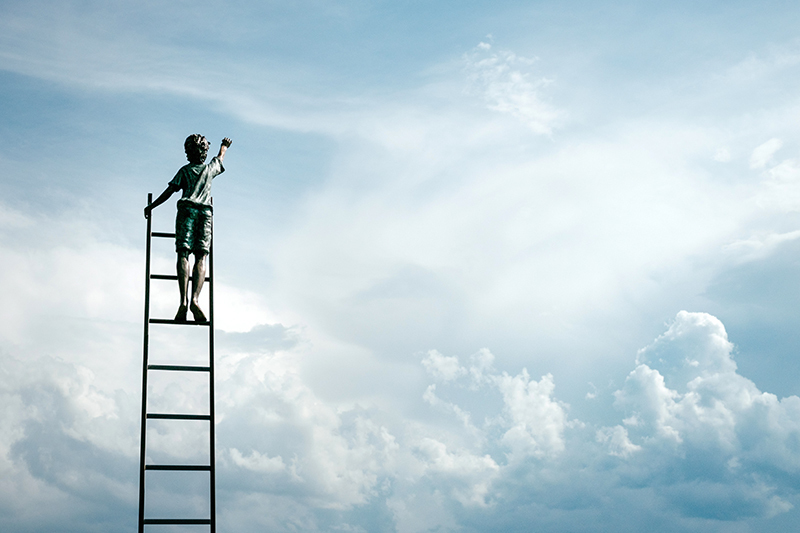 Securing grants can not only give you an extra line or two on your CV, it can provide the stability and resources you need to be your most creative self. To help you get started, we’ve rounded up some amazing grants to apply for in 2018, with details like amounts, deadlines, and specific artist fields included. Then take a look at some of our favorite opportunity sites to search, and finally, learn how to make sure your portfolio and professional documents are ready to apply. Happy hunting! Creative Capital supports adventurous artists across the country through funding, counsel, and career development services. This impact-driven arts organization provides each funded project with up to $50,000 in funding and career development services valued at $45,000. WHO: Artists in any discipline working on a specific project. FIELD: Painting, Sculpture, Works on Paper, Photography, Public Art, and more. AMOUNT: Up to $50,000 in direct funding. DEADLINE: Letter of Inquiry must be submitted between February 1 - February 28, 2018. FINE PRINT: Besides funding, you’ll have access to consultations with legal, financial, marketing, public relations, and web consultants; artist retreats and regional gatherings; ten meetings with a strategic planning coach; and more. You can learn more here. Established as part of Lee Krasner’s legacy, the Pollock Krasner Foundation Grant was set up to support and strengthen the creative lives of artists. A competitive grant for artists with extensive exhibition records, this grant has a long list of impressive alumni. Since its start in 1985, the foundation has granted over 65 million dollars in award money to artists in over 77 countries. WHO: Mid-career professional artists with demonstrable financial need. Artists must be actively exhibiting their current work in professional artistic venues, such as gallery and museum spaces. FIELD: Painters, sculptors, and artists who work on paper, including printmaking. AMOUNT: Awards range from $5,000 to $30,000, depending on need and circumstance. FINE PRINT: Commercial artists, video artists, performance artists, filmmakers, crafts-makers, and computer artists are not eligible. Students not eligible. Detailed FAQ here. The Harpo Foundation seeks to stimulate creative inquiry and to encourage new modes of thinking about art. Applications are evaluated on the basis of the quality of the artist’s work, the potential to expand aesthetic inquiry, and its relationship to the foundation’s priority to provide support to visual artists who are under-recognized by the field. WHO: Under-recognized US visual artists over the age of 21. AMOUNT: Awards are made of up to $10,000. DEADLINE: Not yet announced for 2018. You can sign up at the bottom of their website to receive email notifications of upcoming deadlines. FINE PRINT: Students are not eligible. $15 application fee is required. You will need to submit an artist resume, artist statement, and work samples on the online application. Detailed FAQ here. Artadia is a national non-profit organization that supports visual artists with unrestricted, merit-based awards and fosters connections to a network of opportunities. In the past 18 years, Artadia has awarded over $3 million to more than 300 artists throughout its participating award cities of Atlanta, Boston, Chicago, Houston, Los Angeles, New York, and San Francisco. WHO: Visual artists who work in the program city (or its eligible counties) and who have resided there for at least two years. AMOUNT: Ranges between $5000 to $20,000, plus ongoing assistance through the lifetime of your career. DEADLINE: Applications dates for participating cities are as follows—Los Angeles: January 1 – February 1, New York: March 1 – April 1, Houston: April 15 – May 15, Chicago: May 1 – June 1, San Francisco: July 1 – August 1, Atlanta: September 15 – October 15. FINE PRINT: Students are not eligible. Award money can be used however the artist sees fit. Continued support is achieved through close collaborations with its host cities to create exhibition opportunities for artists, arrange studio visits with local as well as national curators, source residency programs, and make introductions in the field. Learn more here. Adolph Gottlieb, one of the artists known for initiating the Abstract Expressionism movement, achieved artistic and financial success far beyond his early expectations. But, he had several colleagues who, despite their artistic achievements, were not able to support themselves financially. The Gottlieb Foundation wishes to encourage artists who have dedicated their lives to developing their art, regardless of their level of commercial success. WHO: Artists who have been working for at least 20 years in a mature phase of your work, and can demonstrate a need for financial assistance. FIELD: Painting, printmaking, or sculpting. DEADLINE: The 2018 Individual Support application was due by December 15, 2017. Stay tuned for the 2019 cycle application deadline later this year. FINE PRINT: Maturity is based on a high level of intellectual, technical, and creative proficiency that has been maintained over time. It is based less on an applicant’s age than on the development of and commitment to an artist’s work that has progressed over time. Detailed FAQ here. The Foundation offers Fellowships to further the development of scholars and artists by assisting them to engage in research in any field of knowledge and creation in any of the arts, under the freest possible conditions. WHO: Visual artists from the US and Canada. AMOUNT: The amounts of grants vary, and the Foundation does not guarantee it will fully fund any project. DEADLINE: Applications for 2018 grants were due by September 19, 2017. Stay tuned for the 2019 grant cycle application deadline later this year. FINE PRINT: On the application, you must include a chronological list of shows, citing dates and places, and a list of collections in which your work is represented. Work exhibited on websites and blogs alone does not constitute a sufficient record of accomplishment for our competition. Learn more about applying here. The Aaron Siskind Foundation is a 501(c)(3) set up by preeminent photographer Aaron Siskin’s estate, which he had asked to become a resource for contemporary photographers. The award was established to support and encourage contemporary artists working in the photographic field. FINE PRINT: Varied amounts of grants gifted up to $10,000. Students not Eligible. Doctoral candidates considered on case-by-case basis. Check out the FAQ here. A micro-granting organization, funding “awesome” ideas, The Awesome Foundation set up local chapters around the world to provide rolling grants of $1000 to “awesome projects.” Each chapter defines what is “awesome” for their local community, but most include arts initiative and public or social practice art projects. WHO: Anyone is eligible for a grant — individuals, groups, and organizations alike. FIELD: Any Field. Each chapter has their own requirements, most consider arts projects. FINE PRINT: Grants not given for studio space or strictly salary or supplies. Needs to make the community more “awesome.” Think public works. More info here. The Provincetown Art Association and Museum (PAAM) is a nationally recognized, year-round cultural institution that fuses the creative energy of America’s oldest active art colony with the natural beauty of outer Cape Cod that has inspired artists for generations. PAAM was established in 1914 by a group of artists and townspeople to build a permanent collection of works by artists of outer Cape Cod, and to exhibit art that would allow for unification within the community. Today, PAAM continues to offer an every-changing line-up of world-class exhibitions, lectures, workshops, and cultural events. WHO: U.S. painters aged 45 years or older at the time of application. A need for financial support must be clear and demonstrated. Applications must be submitted by an individual working artist or collaborators in an artist group; organizations cannot apply. FIELD: Painting. For the purposes of this grant, painting is considered the application of various wet media (oil, acrylic, gouache, ink, tempera, watercolor, egg tempera, casein) on paper, canvas, fabric, or wood. This excludes mixed media, encaustic, collage, pastels, digital paintings, prints, and work in graphite or drawings. The use of multiple paint mediums is allowed (i.e. mixing acrylics with oil paints). AMOUNT: Awards include a cash grant, ranging from $5,000 to $35,000 and an exhibition at PAAM. DEADLINE: The postmark deadline is April 2, 2018—applicants are discouraged from paying for Overnight Shipping. The deadline for online applications is April 2, 2018 at 5pm EST. Integrity: Arts & Culture (IACA) sponsors mini-grants for artists focusing on creative endeavors, believing the arts are essential to the health and vitality of our communities and our nation. Grants are intended to assist with such things as: art supplies, recording studio time, exhibits, performances, project related expenses, etc. WHO: Applicants must be a U.S. citizen or a permanent legal resident, 18 years of age or older. High school or college undergraduate students may not apply. Graduate students may apply, but we do not fund tuition or student projects. FINE PRINT: Within 30 days of the close of the project, we require 1-2 paragraphs describing how our support benefited you. Learn more here. Founded in 2017, Artist Grant is a new venture that aims to support and fund artists. To that end, this charitable organization funds the efforts of artists to continue their important work and contributions to society,providing a modest competitive grant of $500 to one artist every quarter. FIELD: Painting, drawing, printmaking, photography, stills of video/film, sculpture (of any type of material), ceramics, mixed/multiple medias, installation, and other new or alternative medias. FINE PRINT: There are four grant cycles per year – January 15, April 15, July 15, and October 15. There is an application fee of $25 USD that helps defray the costs of administering this grant so that they may continue to support and fund artists' important work. You can learn more here. The Bennett Prize, created in 2018, awards $50,000 to a woman artist to create her own solo exhibition of figurative realist paintings, which will travel the country. The Prize will propel the careers of women painters who have not yet realized full professional recognition, empowering new artists and those who have painted for many years. FINE PRINT: The Bennett Prize is open only to women eighteen (18) years or older residing at least part in the United States, whose primary practice is the creation of original paintings in the genre of figurative realism. Artists must be currently pursuing, or intend to pursue, a career as a full-time painter. Learn more here. Sponsored by Halstead, a jewelry supply distributor to studios around the world, this program has awarded a grant each year since it began in 2006. Past winners and finalists are an impressive group of accomplished jewelry designers. FINE PRINT: Candidates must provide responses to essay questions that guide you through the process of creating a business plan. The business plan component is weighted equally with the artist’s portfolio during the jurying process. (Participants who complete the grant packet have a professional document they can use for securing business loans, investors and press coverage.) You can learn more here. The SFFILM Westridge Grant funds feature narrative films that explore social issues or questions of our time that are in the screenwriting or development phase. WHO: This grant is open to U.S. based filmmakers telling stories set domestically. Applicants must be 18 years or older. FINE PRINT: The total budget for the films cannot exceed 3 million dollars. All projects must be feature length films. Short films, web-series and episodic content will not be considered. Learn more here. CAMP is a residential arts facility in the French Pyrenees. It runs 6-day workshops in all disciplines, lead by people like Gavin Bryars, Chris Watson, Annea Lockwood, Laure Prouvost, Eli Keszler and Christina Kubisch. Grants of up to 50% of the cost of attending a session are offered. WHO: CAMP is run by Fuse Art Space, a UK modern art gallery and performance space. The school, however, is based in southern France. FIELD: Diverse: see their website for details. DEADLINE: Rolling program, 48-hour assessment period. The SFFILM Rainin Grant funds feature narrative films that explore stories of social justice that are in the screenwriting, development, or post-production phase. WHO: This grant is open to filmmakers from anywhere in the world who are 18 years and older. La Fondation pour l'Art Contemporain Claudine et Jean-Marc Salomon announces an open call for a fully-funded 6 month residency at International Studio & Curatorial Program (ISCP), including a stipend of $24,000 for living, housing, and travel expenses. WHO: This residency is open to artists born after 1983 who are from a country from the Organisation internationale de la Francophonie. Scroll down on the ISCP website for the complete list of eligible countries. FINE PRINT: Each residency includes 24-hour access to a private studio space, studio visits from visiting critics and an appointed advisor; field trips to museums, galleries and other cultural venues; and participation in artist talks. In addition, residents have the opportunity to work with a studio assistant, develop projects in the public realm with the support of ISCP staff, and are considered for ISCP's exhibition program. Scroll down on the ISCP website to learn more. The International Studio & Curatorial Program (ISCP) is pleased to announce an open call for a fully-funded three-month curatorial residency, including a stipend for travel and housing, supported by the Jane Farver Memorial Fund. WHO: A curator from the Global South. Scroll down on the ISCP website for the complete list of eligible countries. FINE PRINT: Other requirements include a working knowledge of English, being onsite at ISCP 20-hours per week, and conducting studio visits with the artists (and curators) in residence in the International Program. Scroll down on the ISCP website to learn more. UPDATE: Artwork Archive now has its own Call for Entry Page! Free to peruse, we feature everything from dream residencies and life-changing grants, to fun festivals, art business workshops, and competitions for some extra cash. We make it easy to search, too! Filter by opportunity type, location, event dates, eligibility, and more to find exactly what your art practice needs to flourish. While you may know this site for its wide array of calls for shows, exhibitions, and residencies, this site also boasts a collection of grants and awards. Search through the listings at no cost which covers all the need-to-know details for applying, including entry deadline, fees, location eligibility, and more. AOM offers a free monthly opportunity list: AOMFree. All you need to do is sign up with your email and they send you thoroughly screened opportunities every month, including grants. AOM prides itself on ensuring each opportunity is worthwhile. A more comprehensive monthly list is offered at $30 a year, in addition to the free version. Another site you may have heard of is ArtDeadline.com. According to their website, it is “the largest and most respected source for artists seeking income and exhibition opportunities.” The site may cost you a subscription fee of $20 a year to view the majority of its opportunities, but you can still browse many grants listed for free on their homepage and the @ArtDeadline Twitter account. Not sure if you want to apply through a third party, Art Guide is the free artist opportunity site for you. This call for entries website allows you to apply directly to the organization offering the grant. The list is updated daily so there'll always be a great new opportunity to pursue. It’s no secret that grant applications can be extensive. After all, these organizations need to ensure their funding will be in good hands! But, that’s why you should be prepared for the wide array of detailed information and professional documents you’ll be asked for in your submission—and especially not leave applying to the last minute. An easy solution for applying for artist grants and opportunities without the hassle is by staying organized with an art inventory software. With Artwork Archive, you can manage jury-ready photos of your work and their inventory details, as well as generate professional documents like portfolio pages. If asked for a list of past exhibitions and competitions to validate your professional status, you can see your complete show history with the click of a button. Just think of the time you’ll save not having to remember or dig up all of this information! You can even add application deadlines to the “My Schedule” feature and receive email reminders before it’s time to submit so you never miss out on these opportunities. 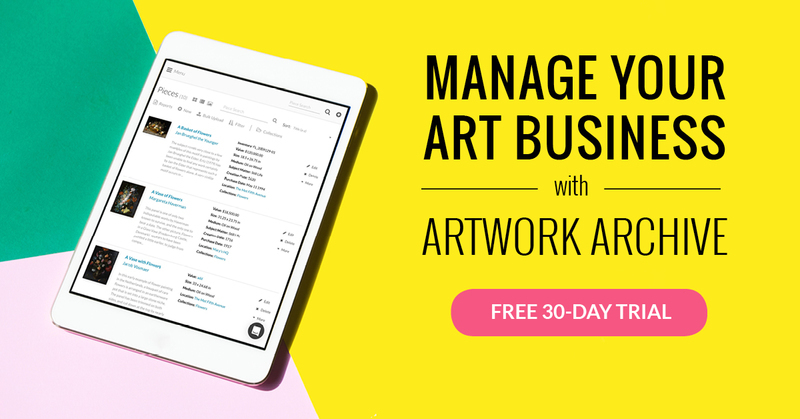 Get started with a free trial of Artwork Archive, and see how easy it is to stay on top of opportunities for your art business. A sleek way to share your art and story with collectors, buyers and other creatives around the world. Welcome to the new Public Profile. Knowing the right questions to ask before you accept a commission can help you avoid any potentially stressful or less-than-desirable situations. Use these ten questions as a guide. Artist Amy Clay has attended 20 artist residencies in 14 different countries. She's here to give us the scoop. Don't get started with art inventory software unless it offers these 12 essential features to grow your career and organize your art business. Get the latest art news & tips delivered once a week, straight to your inbox.